"I hope that you will use your influence to make sure technology is a force for good in the world." CAMBRIDGE, Mass. — Facebook executive Sheryl Sandberg told MIT's graduates on Friday that they should use technology as a "force for good" but warned that others might use it for harm. 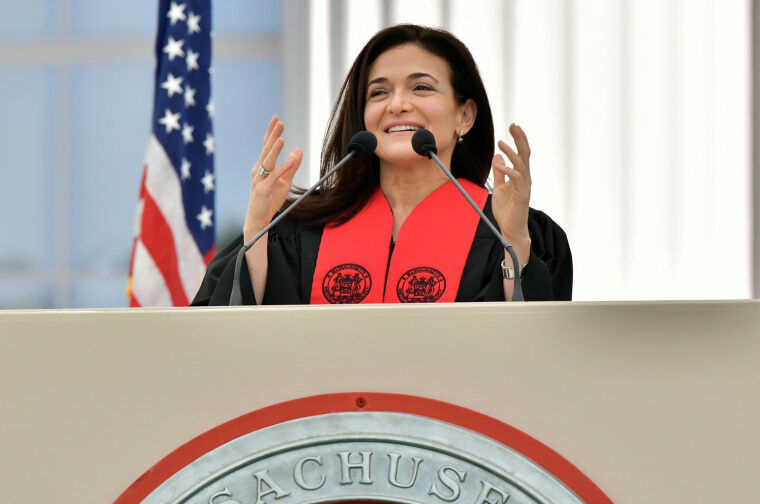 Sandberg, the company's chief operating officer, used Facebook's missteps as a lesson in accountability in her commencement speech at the Massachusetts Institute of Technology. She says Facebook's leaders "didn't see all the risks coming" and "didn't do enough to stop them." Her lesson for students is to "own" their mistakes to prevent future ones. "I hope that you will use your influence to make sure technology is a force for good in the world," Sandberg said. "Technology needs a human heartbeat; the things that bring us joy and the things that bring us together are the things that matter most." The social media giant has been under intense scrutiny in the wake of a privacy scandal involving a data mining firm. Sandberg did not elaborate on Facebook's missteps in her speech. Still, Sandberg says she's proud that Facebook has helped people "organize for democracy" and urged students to be "clear-eyed optimists."